Holiday Job Search Tips - Futures in Motion, Inc.
With the holidays now in full swing, there’s a tendency to want to relax and put your job search activities on the back burner. Many job seekers think that employers have stopped any hiring they might be considering and will ramp up in the New Year. If you buy into that, you’re missing 6-8 valuable weeks of search time. I recently helped a job seeker with interviewing preparation. She beat out 20 other applicants and got her permanent position right before Thanksgiving. She even got paid for the holiday time off even though she’d only been there for a week. The reality is employers seek candidates year round and even extend offers during this time. Karen Lewis, Careers in the Key of Life, agrees. She says, “don't approach the job search with the attitude that it's the holiday season and therefore, opportunities will be limited. Life, and work, goes on 365 days a year. Assume that people leave their jobs every day, openings are created everyday, so forge ahead. Planned Happenstance occurs sometimes when you least expect it! In collaboration with some other job search professionals, I came up with a few tips for job seeking during the holidays. We all agreed that connecting with people is the most important thing you can do in the job search and especially during the holidays. Your job search activities should include those that connect you to hiring managers and those who can give you good leads. You also need to be prepared to make your pitch and present your qualifications should the opportunity arise. The tips below will help you in important ways as you continue or begin a job search during the holidays. The holiday season is the perfect time to connect with people and make new contacts. Built into the holidays are numerous occasions for reaching out. You can send greeting cards and holiday updates, attend parties and events, and volunteer with churches or community organizations. Sally Gelardin, job search expert, suggests sending out entertaining, not boring, holiday e-cards to all of your contacts. They’re conversation starters. People appreciate the diversion of well-written personable cards and are more likely to respond to an electronic card. To make a more memorable impression, Sally further suggests writing something humorous on the card such as, “I don't usually have the time to send out personalized holiday cards, but since I am in the midst of a job hunt, I have the good fortune this year to have a bit more time on my hands....” or “Since I have time and like to keep up my skills, I'm volunteering with Santa this year, handing out free resume reviews…” You can fill in the blanks as appropriate. It’s also important to attend as many parties and holiday events as possible. These are great opportunities to network and learn of new opportunities. To make the most of the networking opportunities, career coach, Linda Artel, suggests having your 30-second introduction ready and use it whenever it seems appropriate. She advises that you get names and cards when you can. If requested, send your resume before the holidays and follow up shortly after New Year’s. This is a great way to get into the hiring manager’s pipeline. Career Advisor, Megan Pittsley encourages job seekers attend Chambers of Commerce mixers, professional association meetings, alumni gatherings, and singles groups, to name a few. Those are great opportunities to network where people are out and about and make connections while others tend to take the holidays off! If you’ve been in job search mode for a couple months, by now you might be feeling a little discouraged because you haven’t seen your desired result- a job. It’s at this time that you really want to power through and continue your job search. Since, many other job seekers will be taking a break during the holidays, you’ll stay ahead of the competition. It’s important to stick to your plan so you can keep your momentum. If you think your job search plan and approaches could use some help, go get that help. I work with job seekers all the time and after talking with them for a few minutes I can pinpoint right where they need to focus more attention. You can do that on your own, too. A book I recommend is Get Hired Now! It’s a quick read and will definitely get your job search on track. I also hosted a teleclass in November called, 3 Secrets to Creating Luck in Your Job Search in which I outline three important factors for success in your job search. If you’d like a copy of the recording, send me a request by email, and I will send you the download link. As you continue your job search during the holidays, you’ll be meeting new people and adding them to your network. The people you’ve already met might also be taking the time to check into your qualifications. You need to make sure you’re presenting yourself well in all mediums. Update and polish your resume to make sure it accurately and effectively reflects your relevant qualifications and accomplishments. You’ve probably heard that hiring managers use online sources more and more to get an impression of candidates. If you have profiles on linkedin, facebook or any other social media tool, make sure your profile is updated and professional looking. If you’re not confident about your interviewing, practice and hone your presentation skills. Enlist the help of a friend or family member. The toughest interview I ever had was a mock interview my sister gave me years ago. Since then, I’ve gotten every job I’ve interviewed for. Be vigilant about making the most positive impression you can. The holiday season is a time of year when many of us are asked to donate our time to help others. However, not only is volunteering good for society, according to job search expert, Judi Garcia, volunteering is a good way to increase your self-esteem and confidence while in the job search. She advises job seekers consider volunteering in their local communities because helping others is time well spent, while also networking with community and other professionals. Also, you never know when a job idea or opportunity can show up. Volunteering in the community can lead to a mentoring or leadership role as a board member, and looks good on a resume. While the holiday season is a time for friends, family and celebration, it can also be a time of opportunity. Enjoy yourself while cultivating relationships that will pay off in the New Year and beyond. * This is a repost of article written in the past. The tips are useful, so I'm sharing it again this year. Do you need help to improve your chances of connecting to the job of your dreams? Let's talk about it. Markell R. Morris is a career counselor and coach who helps frustrated career changers figure out what they really want to do after loss and personal challenges. 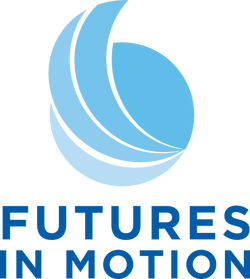 You can learn more about how she helps career changers discover meaningful career paths, and request her guide, 5 Steps for Launching Your Career Transition at her website http://www.futures-in-motion.com. REPRINT GUIDELINES: You may reprint these articles free of charge in your newsletter, magazine, or on your web site, provided that they are unedited, and that the copyright, bio slug, and contact information below appears with each article. Articles appearing on the web must provide a hyperlink to our website. Please provide us with a courtesy copy of the print or email issue containing the article, or the URL of any article posted to the web. All articles are authored by Markell R. Morris, MA, NCC, DCC.